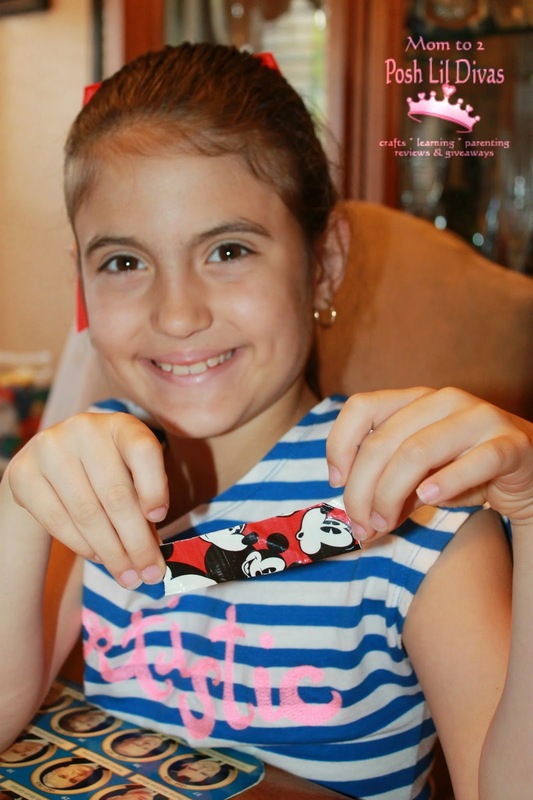 This DIY craft comes straight from the Oldest Diva. She wanted to make a pair of Mickey Mouse shoes for her AG doll. 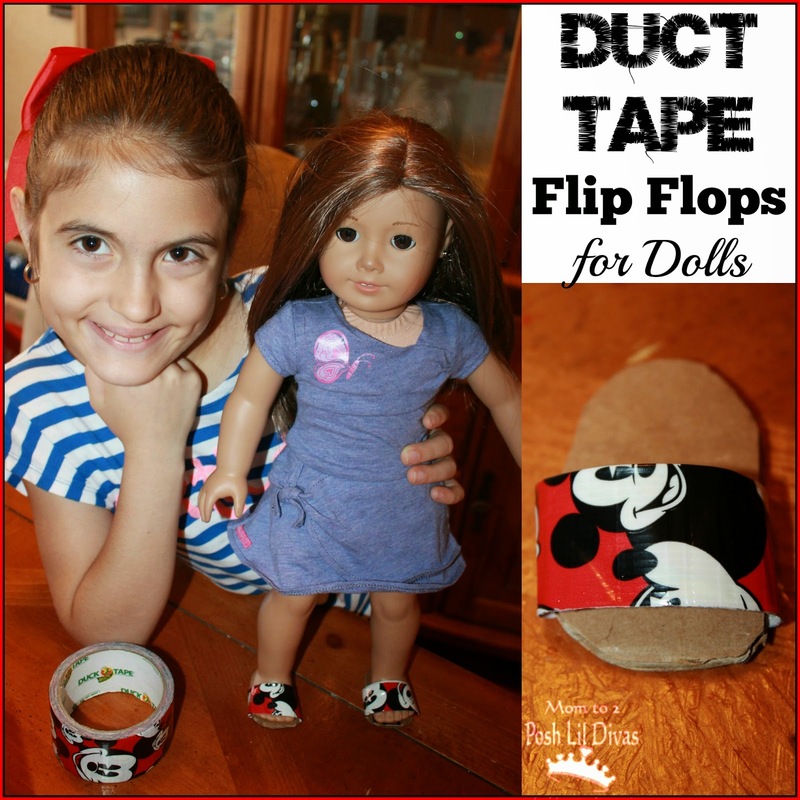 Her first attempt was to make these super cute and easy Duct Tape Doll Flip Flops. 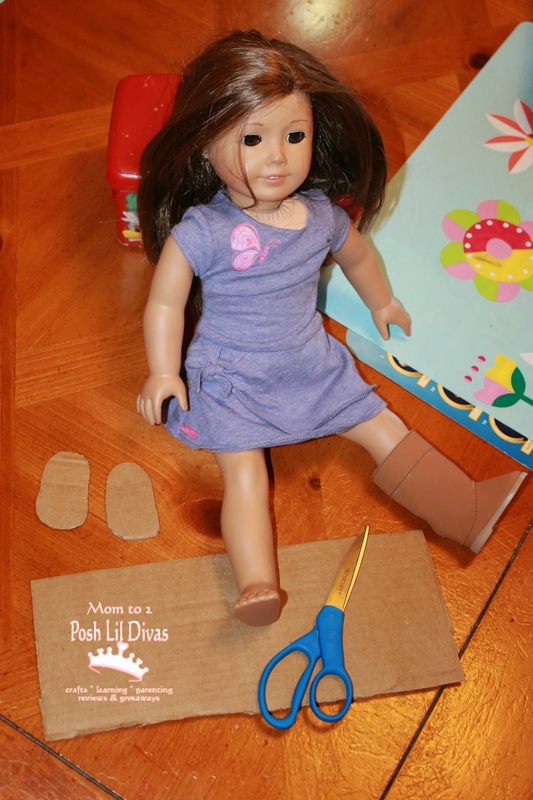 Step 1: Trace your doll's foot on a piece of cardboard and cut out the tracing. Use your tracing to trace and cut out a 2nd piece of cardboard. These will be the soles of your flip flops. 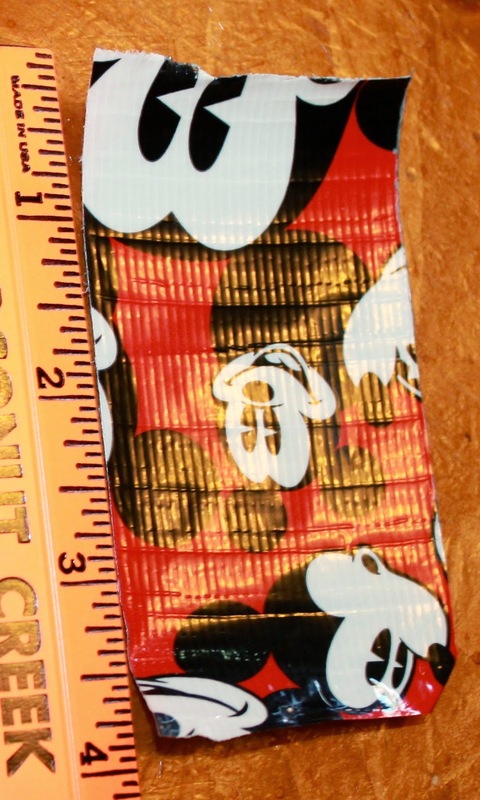 Step 2: Pick a patterned duct tape you would like to use for your flip flop (we used a fun Mickey Mouse pattern). Measure and cut two pieces of tape that are each 4 inches long. Step 3: Take your first piece of tape and fold it in half. 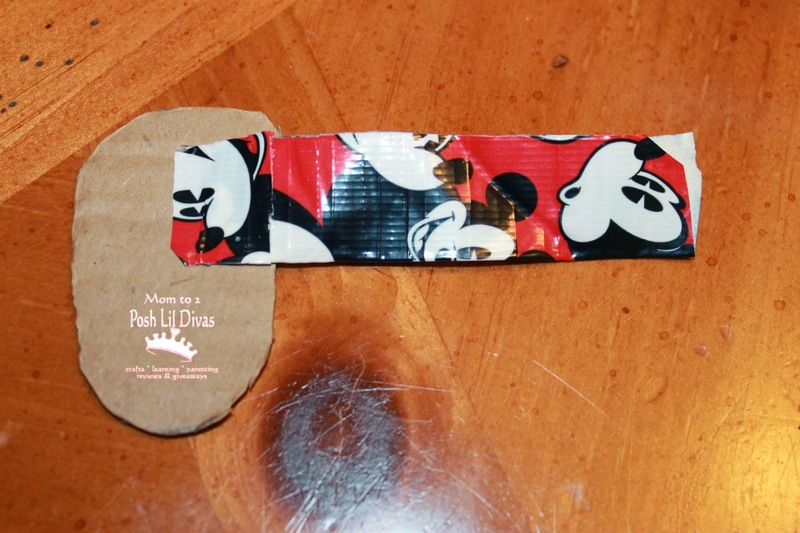 Step 4: Attach the tape to the bottom of one of your cardboard soles, in the middle, with a small piece of duct tape. 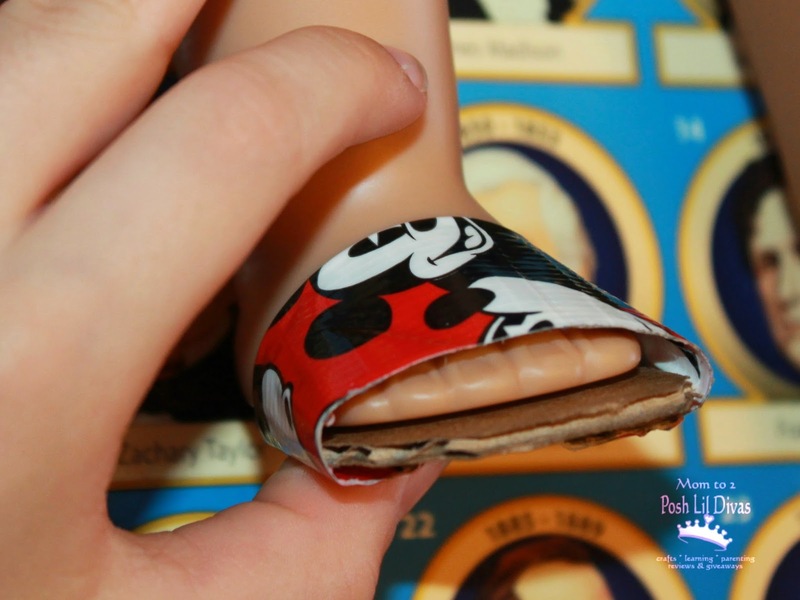 Step 5: Use your doll's foot to measure and stretch the tape across, bringing it under the cardboard and sticking it down. Use a small piece of tape to keep everything down in the back. Your first flip flop is complete! Repeat steps 3 thru 5 for your other flip flop. 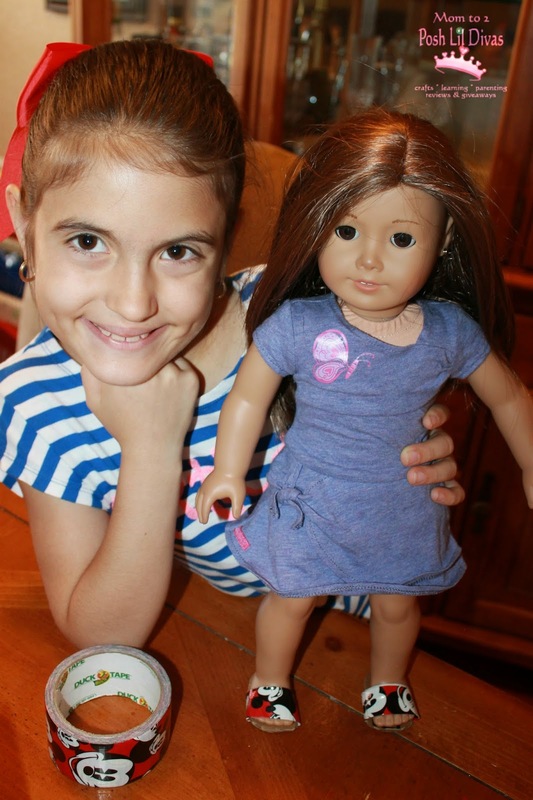 Now your doll has some fashionable and cute flip flops to wear this summer! 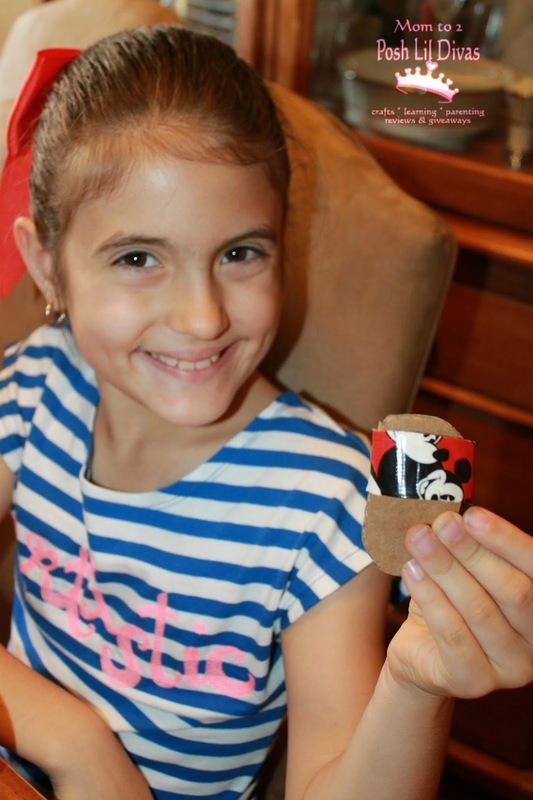 We hope you enjoyed this DIY Kid Craft. Up next - our Duct Tape (Toms inspired) Doll Shoes. 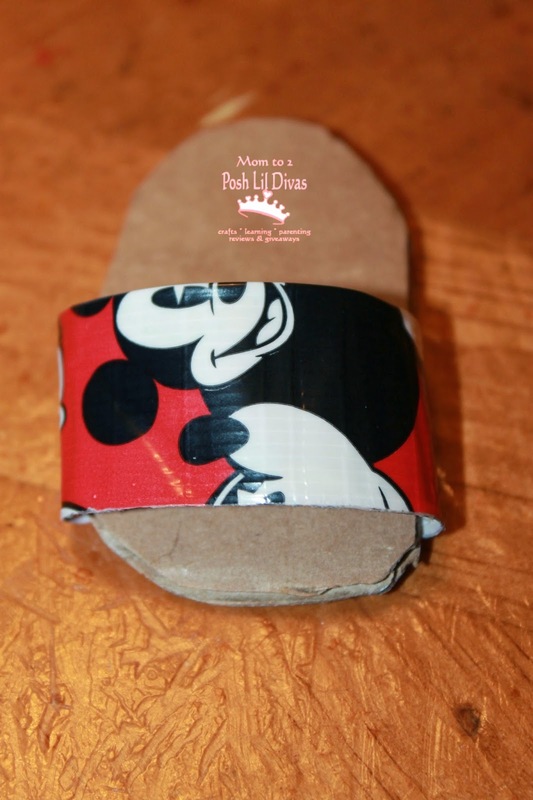 They use this tutorial as a starting point but the Oldest Diva took it even further and made an adorable pair of Mickey Mouse (Toms inspired) shoes! These are so neat! Such a creative idea! What a fun idea! My daughters will love giving this a try. Thanks. What a great idea, so simple. What a brilliant idea. I love it! Those are adorable sandals. Our kids would love them (or a bigger version they could wear.